The Carnival Ecstasy cruise ship sails from Charleston SC. 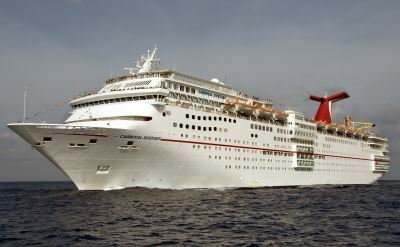 It is a recently renovated ship with lots of amenities. 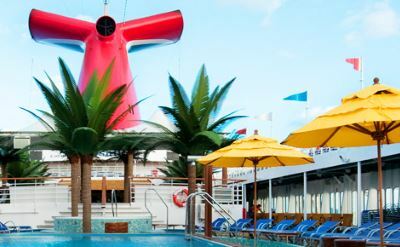 New features on the Carnival Ecstasy include the Serenity adults-only retreat, Hasbro the Game Show, Lip Sync Battle, Punchliner Comedy Club, Playlist Productions musicals, RedFrog Rum Bar, BlueIguana Tequila Bar and Spa Carnival. The WaterWorks aqua-park is wet and wild fun for the family. Programs just for kids include Camp Carnival, where youngsters are split into groups of ages 2 to 5, 6 to 8, and 9 to 11. Circle C is for ages 12 to 14, and Club O2 for ages 15 to 17. Seuss at Sea is a new feature for everyone. 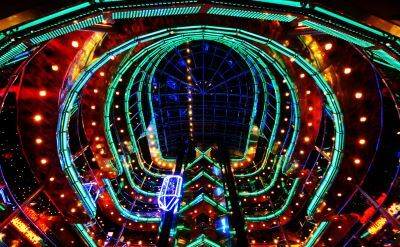 Dining options on the ship include the main dining room, Guy's Burger Joint, BlueIguana Cantina, Lido buffet, Pizza Pirate, Swirls ice cream, and room service. For an added fee you can try Steakhouse Selections, The Chef's Table, Coffee Bar, and Green Eggs & Ham Breakfast. 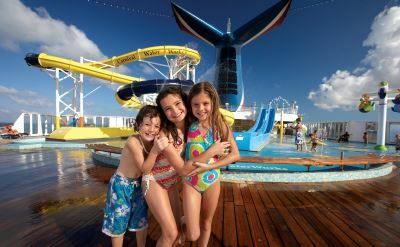 Read a Carnival Ecstasy cruise review. And watch a video about a cruise on the Ecstasy to the Bahamas. The video includes a ship tour and good insights into sailing out of Charleston.